Bay Area Plumbing Experts Find Valuable Partner in FlowGuard Gold | Lubrizol Advanced Materials, Inc.
For W.L. Hickey Sons Inc., a job well done means their clients don’t see their work after it’s done. Founded in 1904, the company — which specializes in residential, mixed-use, dormitory, public housing and hotel construction — is one of the most trusted plumbers in the San Francisco Bay area. Over the last century, the company has blossomed from a small family business to one that employs more than 150 people. Over the years, W.L. Hickey Sons has switched its water distribution piping material from galvanized pipe to copper and eventually CPVC in 2008. Third-and-fourth generation owners Edward and Adam Hickey were such strong advocates of the material that they played an instrumental role in getting CPVC permitted within the code requirements for the local jurisdiction, the San Francisco Department of Building Inspection (SF-DBI). Today, the company exclusively uses FlowGuard Gold on projects specifying CPVC and touts the benefits of the strong partnership between the two companies. Adam is proud that W.L. 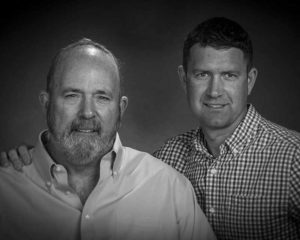 Hickey Sons’ work aligns with their family and company’s core principles of adding value and contributing to the community. That’s why, he says, it’s so important that W.L. Hickey Sons partners with a company like FlowGuard Gold CPVC that has shared values. While competitors may offer similar pricing, the FlowGuard Gold team’s commitment to quality service and collaboration differentiates the company and its product from others. “Like us, the FlowGuard Gold team thinks intelligently up-front to add value and ensure the sustainability and success of the project moving forward,” Adam said. Longevity and durability are essential to the success of a project, particularly in California which has a ten-year statue of liability. Therefore, having a reliable system that reduces the risk of callbacks and liability is crucial for W.L. Hickey Sons. With more than 11 billion feet of FlowGuard Gold Pipe installed in the U.S. and no class action lawsuits, FlowGuard Gold CPVC delivers that reliability. As a California-based business, water quality is a priority and an area that will continue to be a challenge for W.L. Hickey Sons. Questions remain about the source of water, whose chemical makeup may fluctuate over time, requiring a system that can withstand those changes. The Hickeys, however, have peace of mind knowing that by installing FlowGuard Gold CPVC, residents will not be subject to piping issues caused by fluctuations in water quality. FlowGuard Gold CPVC is NSF/ANSI standard 61 tested and approved to avoid water contamination. It is not susceptible to chemical leaching or permeation and has less biofilm growth potential than competitors. “For that reason, we have more confidence in FlowGuard Gold CPVC than other materials,” the owners said. W.L. Hickey Sons anticipates continued challenges with population growth, an aging infrastructure, and recruiting and training the younger generations to take the lead in designing and installing complex projects in higher density areas. The Hickeys have launched an apprentice program to help combat this last challenge and have leveraged support offered through Lubrizol to aid in training from the design phase to installation and post-installation phases. “Thankfully, training and support from the FlowGuard Gold team helps us be prepared to work through those challenges,” they said.